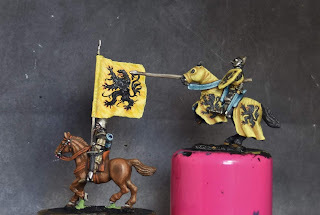 Another addition to the french hundred years war knights. Louis de Nevers, a flemish nobleman killed at Crecy. 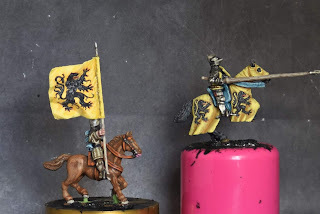 The horses are front rank as is Louis, the standard bearer is blacktree and the banner is by GMB. Superb as always, wonderful banner! 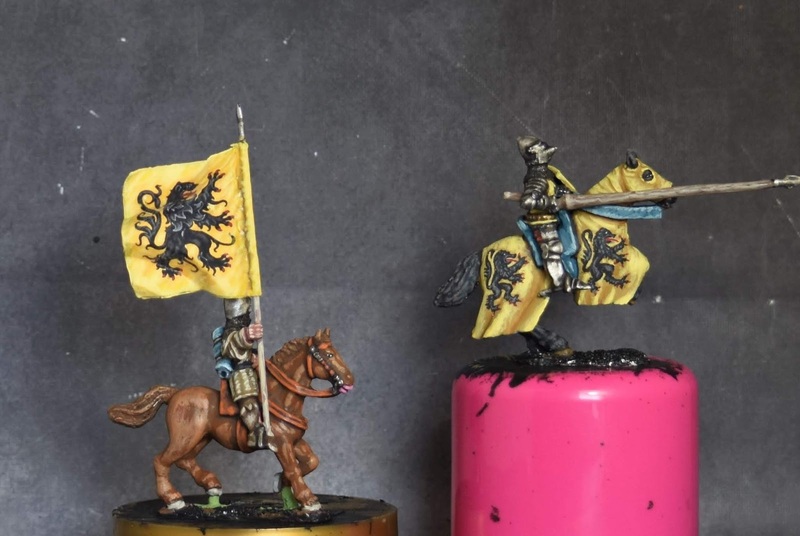 Beast on the flag not hand painted? But yes to those on horse? If so, just Wow! Thanks Kevin, if a god printed version of a flag exists, i will use it! 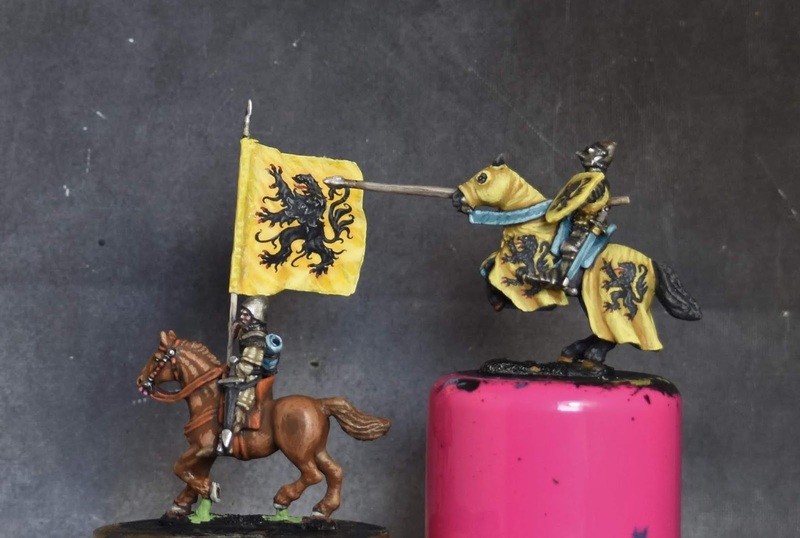 The Flanders lion on that barding is amazing Chris!